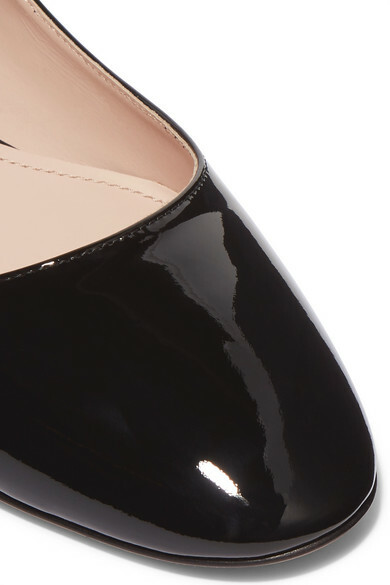 If you're dressing from the feet up, Miu Miu's ballet flats will make any outfit feel prettier. They're made in Italy from glossy black patent-leather, each Mary Jane strap twinkling with star-shaped crystals. If you're attending events back-to-back this party season, they'll be just the thing to slip into when you're tired of heels. Shown here with: Miu Miu Shorts, Miu Miu Coat, Antonio Berardi Top, Victoria Beckham Tote.